10 Steps to Transforming Your Life Through the Power of Mini Habits! Finally! Develop good habits that stick! Do you find yourself trying to adopt good habits only to abandon them down the road? Are you frustrated because you seem unable to develop them in the first place? If so, there's a simple solution: starting small. 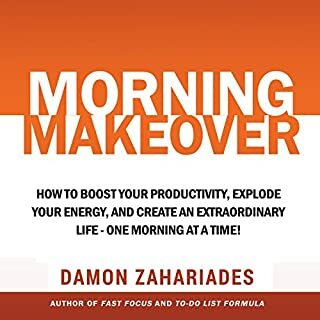 This effective, time-tested method is described in detail in Small Habits Revolution: 10 Steps to Transforming Your Life Through the Power of Mini Habits! A Stress-Free Guide to Silencing Your Inner Critic, Conquering Perfectionism, and Becoming the Best Version of Yourself! Are you a perfectionist? Is your perfectionism causing you to feel stressed, irritated, and chronically unhappy? What if you could silence your inner critic and eliminate your fear of failure? How might these two simple changes improve your life?Imagine being able to take action without the fear of self-criticism. Imagine no longer feeling paralyzed with indecision. Imagine finally letting go of your perfectionism, and feeling confident, enthusiastic, and inspired. An over-application of a good idea. The Ultimate Guide to Beating Technology Addiction, Cultivating Mindfulness, and Enjoying More Creativity, Inspiration, and Balance in Your Life! More people than ever are realizing their phones, laptops, and other devices are negatively impacting their quality of life. Take a vacation from technology. 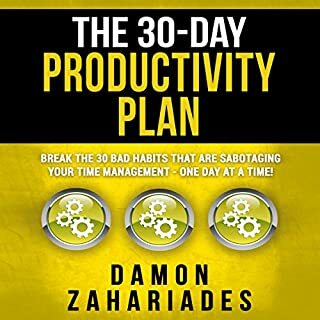 In Digital Detox, Amazon best-selling author Damon Zahariades provides an effective, step-by-step plan. Every aspect, from the factors that led to your technology addiction to the life-changing benefits you'll enjoy after taking a technology vacation, is detailed in this fast-moving action guide. Discover how to use time chunking to streamline your workflow and skyrocket your productivity! Enter the Time Chunking Method. It's one of the most popular time management strategies used today. Students, corporate managers, small business owners, and stay-at-home moms employ it to get more done, stay motivated, and carve out more free time. It can help you do the same thing! The key to using the Time Chunking Method effectively is to adjust it to your personal workflow. I'll show you how to do that in this book. Nothing new or innovative here. Then spends time on telling you why you need to eat well and sleep. 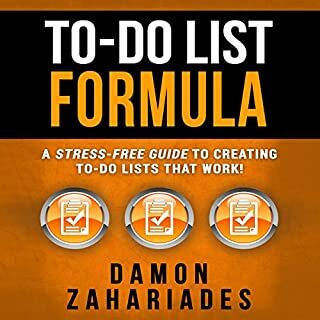 Best Time Management Book For Entrepreneurs! I’m am so glad I came across this book!This is the best book I’ve seen for those who are self-employed or manage their own time! The tips are very simple to understand and easy to apply! This book is a quick read, gives simple tips and encourages you to act now. I found it to be uplifting and motivating!! I listened to it with my 10 year old son in the car. He too is using some tips from it as well. Definitely a must!! Very helpful to start this process. I feel very prepared to succeed at this from listening to this book. I felt a 5 paragraph summary of time chunking would some up this book. Overall, wasn't a bad listen. This book greatly increased my productivity and I saw this change in the first week of using the ideas taught. I would highly recommend this book. Finally, a self help book that really helps! 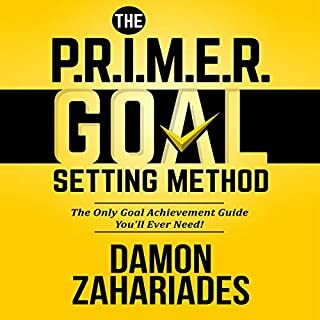 Straightforward, with clear strategies and examples, Mr. Zahariades gives the reader concrete tools to use in order to actually complete goals and increase productivity. 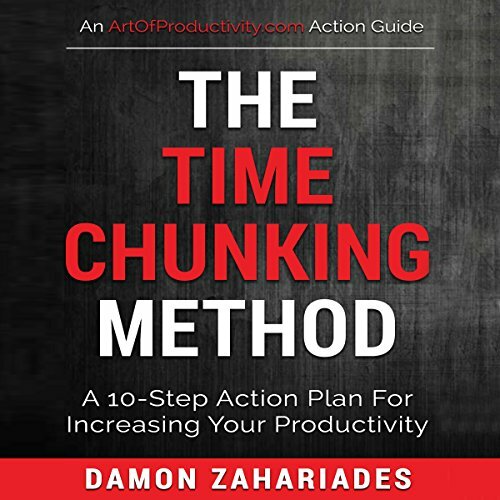 The book is laid out in 10 chapters and steps that systematically explain the time chunking method. It gives examples on how to adapt and make the program work for the individual. I have begun to use this method and for the first time feel that I have some control over my ever growing to do list that never use to end. 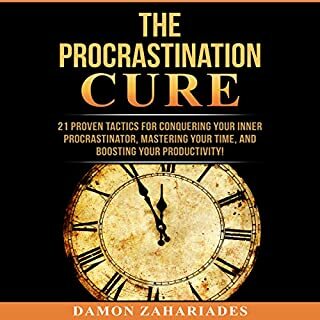 Well written, clear and easy to follow, I highly recommend this book to anyone who wants to get the most out of his/her day with time left over for fun and relaxation. Excellent guide. 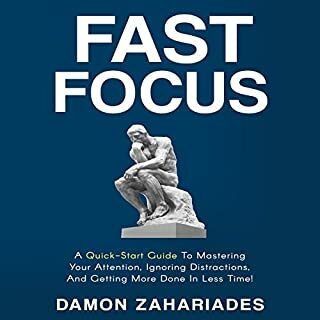 He started with the necessity of having compelling motivation, covered variations on the method itself, delivered numerous useful ideas about how to manage the productive time & the breaks, & addressed a number of issues likely to emerge in the course of using this tool. His work really sets up the user for success in using time chunking. The first day of using this method has already paid back more in increased productivity than the couple of hours spent listening. I recommend it. Keeps asking me for a review before I even get to "step two" of audio???? very annoying.how can I Tate something I haven't even had the chance to listen to?